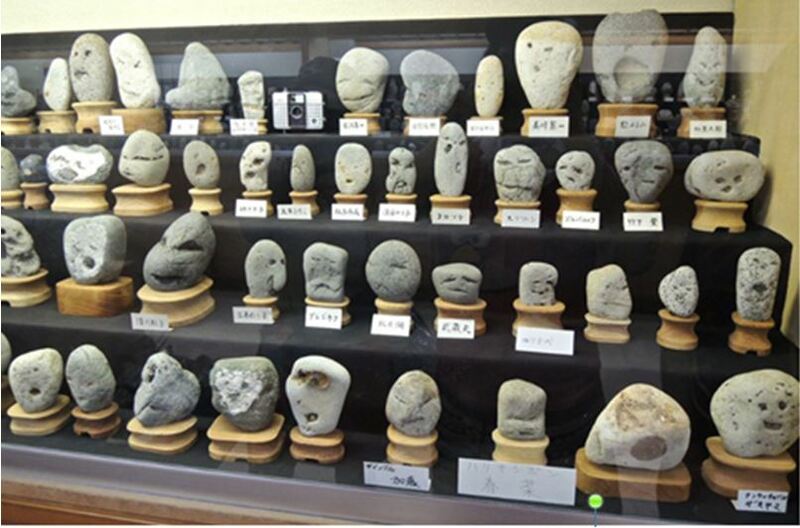 There are rocks with names and those that remain nameless at Chinsekikan. Visitors are invited to name the rocks. Do you see any you would like to name? 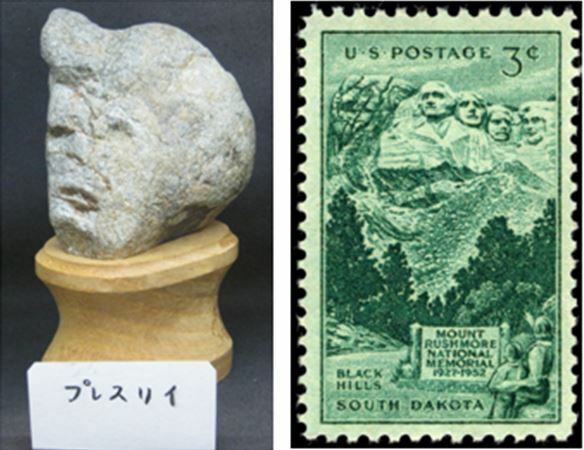 How about the two below that are not part of the Japanese museum, but have been posted recently on rock hound Facebook pages? 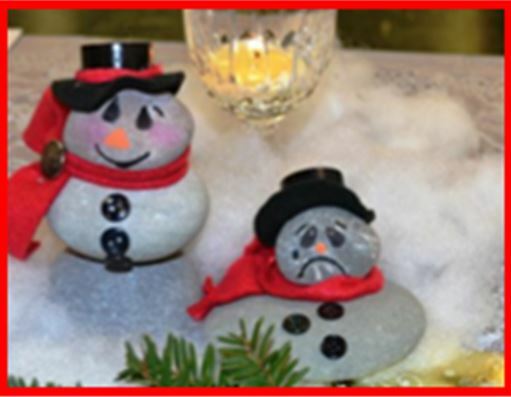 How about we all scour our garages, our basements, and our collections for “rocks that look like faces”? And this summer when you are out, whether it is on a club trip or a family outing, keep your eyes open for faces in the stones. Maybe next year everyone in your favorite rock club can pool their finds and produce a club collection worthy of an exhibit. Remember the face must be natural to the rock. No carving and no make-up. 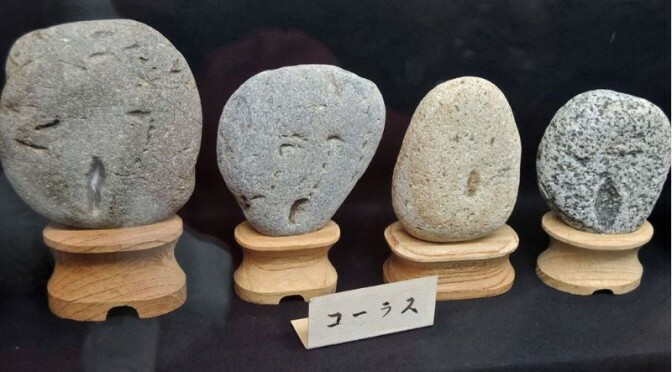 The Japanese call the rock on the left simply “Elvis”. It is 100% natural and counts as a collectible. The rock on the right has a name, but it is not an allowable piece. Besides I don’t think it would fit in Glenn’s truck. Nope, these faces would not count.